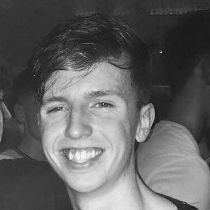 Shea joined Replify as a placement student while studying Computer Science at the University of Ulster Magee. Shea assists with the main Development and QA activities for Replify and aids the support function. Shea has won the Deans List Award for Computer Science at Ulster University two consecutive years in a row. Outside of university, Shea enjoys all things football, music, gaming and combat sports.